Elodie was trying to plan her friend Bérangère’s bachelorette party in anticipation of her wedding at the end of October. She wanted something unique and fun, so the group of 6 girls from France decided to take a trip to Berlin. 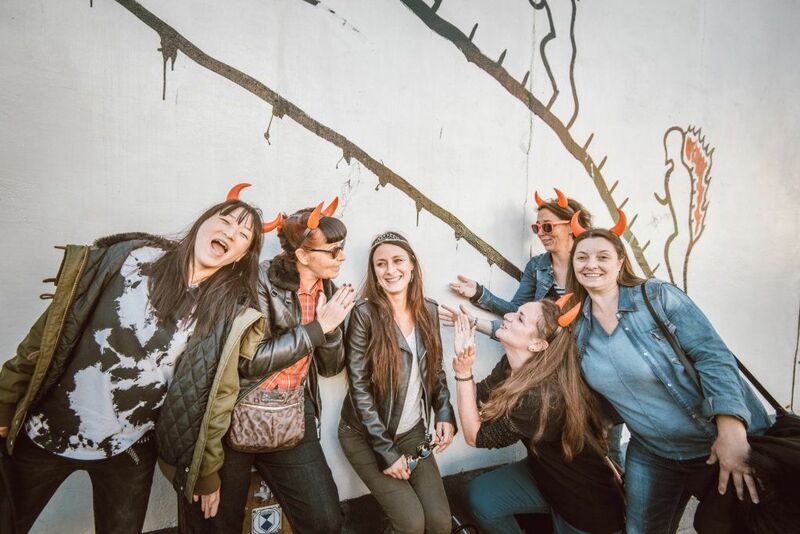 They wanted to capture this special time, using some of Berlin’s truly marvelous street art, so they enlisted the help of Cristina. Berlin has an eclectic mix of glamour, history and tenacity that combine to form a wonderfully vibrant city, rich with history, art, architecture and some truly fantastic restaurants. Bombed to pieces during the Second World War and divided into two separate halves during the Cold War, the city of Berlin reunited in 1990 and has been rebuilding itself as a cosmopolitan capital city ever since. Known as the home of many of Europe’s start-ups, and a lover of technology, the city also boasts many first-class museums and art galleries, and is known for its spectacular street art outside of the gallery walls. Some of the best-known graffiti artists have traveled to Berlin to leave their mark. The western side of the Berlin wall was covered by graffiti during the Cold War, and it seems that Berliners haven’t let the tradition die. To capture her fantastic bachelorette party, Elodie hired a professional photographer named Cristina to take photos of the group. Elodie had specifically requested that some street art be included in the images, and Cristina did not disappoint! 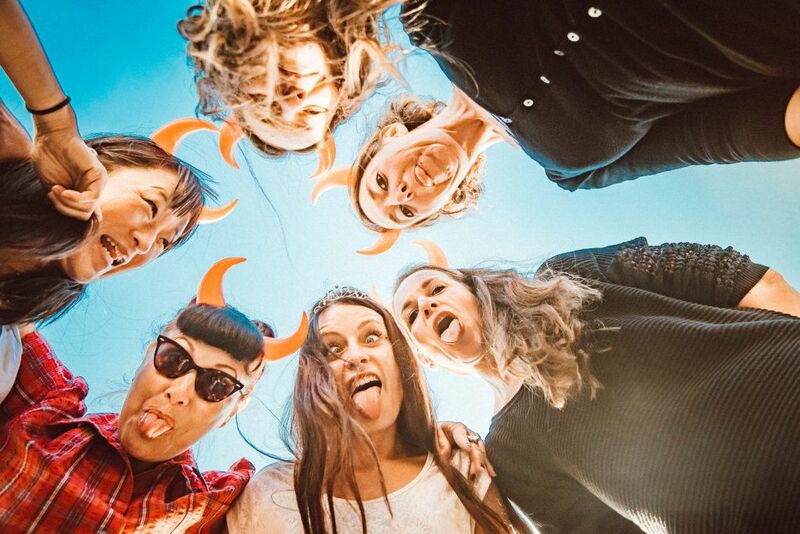 While the future bride, Bérangère, was wearing a lovely tiara, her bridal party wore devil horns, in testament to their playful sides, and perfect for their avant garde backdrop. The result is perfect. Their casual clothes suit the graffiti images very well, and the group is playful and on board with being in the moment in every shot. and all of her friends can walk away with terrific, well thought out images, instead of blurry selfies from the dance floor or a dimly lit restaurant. A professional photographer can make a huge difference, even for a short shoot like this. Our vacation photographers are usually local experts and can suggest the best sites for all kinds of photo shoots, including bachelorette parties, that many people haven’t thought of. They know where to find the perfect spots for the best lighting and views. They want to give each of their clients, like Elodie and her bridal party friends, the best possible experience, and great memories to last a lifetime. Elodie, Bérangère, and the rest of the group of girls can take these fun images home and treasure their time in Berlin together. The bride can also use them as gifts for her bridal party, a group hat is obviously full of life, enjoys fun, and knows how to have a good time together!